As you know this weekend was somewhat of a national girls night out due to the release of the much anticipated "For Colored Girls". I celebrated girls night out with a few of my close girlfriends on yesterday and watched Tyler Perry's "For Colored Girls" and I must say I was blown away by the unique style of theatrical art that was displayed in this film. 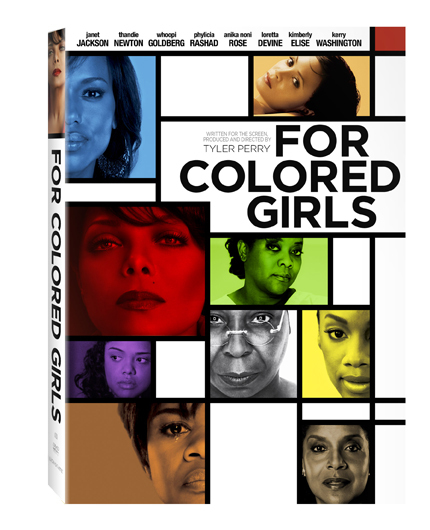 For the most part, the direction of the film was not that of what I thought it would be prior to seeing "For Colored Girls" but there were a couple of cliche/predictable moments. Although this film put a spotlight on the mountains of negativity women have to face everyday, I have to say...the positive energy and strong life messages that were disbursed in this piece of art were nothing more than PHENOMENAL!